On 3rd September we travelled to the South East to visit some parks, activate some, but not all and make our way to Victoria. On the way we stopped in the Coorong National Park and took the loop road leaving the highway at Salt Creek and found a spot overlooking a large basin and within hearing distance of the sea breaking on to the shore on the other side of the sand dunes. 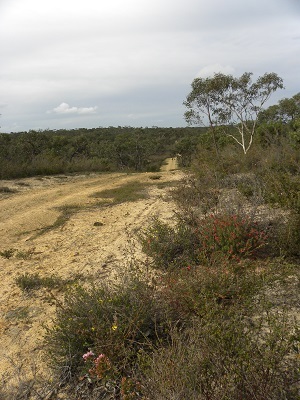 The Coorong National Park protects a magnificent strip of coastal scenery, a large salt water lagoon, in two large basins and significant wildlife, including migratory birds. As well there are monuments to Chinese immigrants, an earlier wave of boat people, who landed in South Australia at Robe before making their way overland to the Victorian goldfields and avoid Melbourne and the authorities. The reason for this was the ineffective head tax imposed in Victoria to try and stop such immigration. The Victorian Government eventually repealed the tax. The Chinese men became a labour force in the Victorian gold ‘diggings’. The Victorian gold was largely exported through South Australia. I set up my portable station and soon discovered a ‘technical problem’. One of my coaxial feeders had developed a fault. The wind had taken its toll on the connector at the end where the dipole centre is located. When I get home I will replace the soldered PL259 with a crimped one. I reckon that holding the coax against the squid pole with some Velcro might also be good preventive medicine! 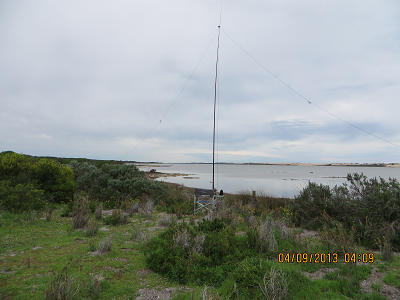 The 40 metre band was very quiet! I struggled to make a few contacts and decided to bring down the squid pole and replace the feeder. The following contacts were made:VK5HCF, Col; VK5ZAI, Tony; VK5PAS, Paul; VK5LY, Larry; VK5UG, David; VK5CZ, Ian and Tony, VK5ZAI. While in the park VK5ZAI, Tony called me on the local repeater, and my planned visit to Butcher Gap Conservation Park was replaced by afternoon tea and a relaxing hour or so. I did promise to activate it the next day so Col could add this park to his list and I was really pleased that this eventuated. Tony, VK5ZAI, lives next door to Butcher Park Conservation Park. 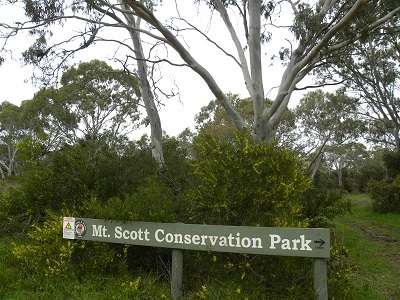 Only two contacts were had: VK5LY, Larry in Bakara Conservation Park and with VK5HCF, Col at Mount Gambier. Tony assisted my in sorting out a dry joint and I am greatly appreciative of his efforts. It was as a result of doing some tests and repairs that only two contacts were made. Tony has previously activated the park: it is a great park. 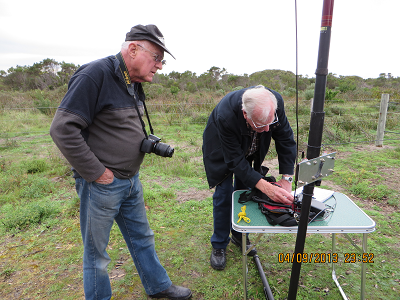 Thirteen contacts were made: VK5PAS/p QRP, Paul in Messent Conservation Park; VK5KC, David; VK5ZAI, David; VK5DJ, John; VK5HCF, Col; VK5LY/m, Larry; VK3FTTK, Peter; VK3AFW, Ron; VK3JP, Ron; VK5FMID, Brian; VK3PF, QRP, Peter at home; VK3UBY, Col and VK5HCF, Col. 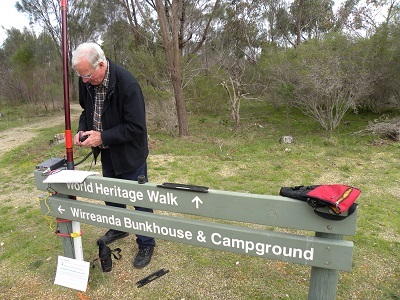 Ten contacts were made: VK5LY/p QRP, Larry at Hogwash Bend Conservation Park; VK5PAS/p QRP, Paul at Reedy Creek Conservation Park; VK5HCF QRP, Col; VK3UBY, Col; VK5FBAC, Charles; VK3AFW, Ron; VK5FMID, Brian; VK5FMMC, Mick; VK5HOS, Owen and VK5PAS/p QRP, Paul at Reedy Creek advising me that he was setting off for Ferner Conservation Park. 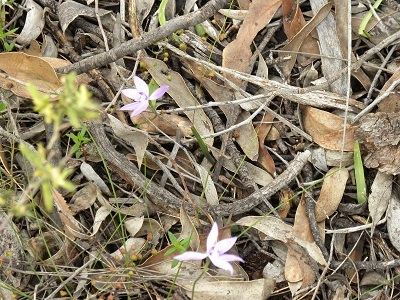 Fairview CP boundary track and wild flowers. My last stop on the 5th was the Naracoorte Caves National Park, a World Heritage Area which contains a number of limestone caves, one of many such cave systems in the South East of the State. It was getting late and was my fourth activation of the day. There were plenty of chasers about: 07:08 VK5LY, Larry; VK5PAS/p, Paul at Furner CP; VK5FMMC, Mick; VK3UBY, Col; VK1MA, Matt; VK5KGP, Graham; VK5FMID, Brian; VK5ZAI, Tony; VK3MQ, Rob; VK3PF QRP, Peter; VK5NRG, Roy; VK5FBAC, Charles; VK5ZAI, Tony and VK3AFW, Ron.